Two men robbed a North Side motel Saturday morning, getting away with cash and an electronic device, police say. 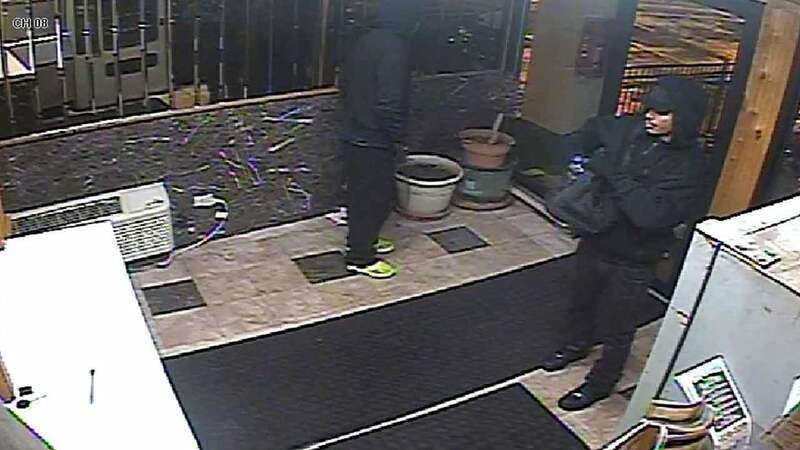 CHICAGO (WLS) -- Two men robbed a North Side motel Saturday morning, getting away with cash and an electronic device, police say. Police say the 59-year-old victim claimed that two unknown Hispanic males entered the Diplomat Hotel on the 5200-block of N. Lincoln in the city's Ravenswood neighborhood around 3 a.m. Saturday morning. After a brief conversation, the men allegedly pushed the victim to the ground and fled with his iPad and unknown amount of cash, police said. The offenders are described as 18-21 years old and were wearing black clothing.